It was a Saturday morning and I was in Phnom Penh’s walking through the central market looking for some fruit to buy. Without trying too, I found myself in the meat section. Even a blind person would know they were there. The stench was overpowering. Chickens with wet feathers and blank expressions sat in tiny cages, probably oblivious to what was soon to happen to them. The goats certainly knew. You could see it in their eyes. But there was nothing they could do and they just stood there, heads bowed, resigned to their fate. Meat hung on hooks, knives and cleavers lay on chopping blocks and everything was covered with blood and flies. I walked on hoping to get to the fruit and vegetable section and a few minuets later found my way blocked by a large round basket that was placed in the middle of the aisle. The basket was full of dead and plucked chickens and a man was crouching beside the basket doing something to the chickens with a hose while a young boy stood on the other side doing something with what looked like a gas cylinder. I stood there for a moment trying to take in the scene before me. Then it dawned on me. The chickens were just slightly putrid, in places their yellowish-white skin was going green or gray. The man was sticking a needle attached to the hose into each chicken and as he did so the boy pumped the cylinder. In countries like Cambodia, when a butcher’s or fish monger’s wares have gone off, they sometimes pump formalin into it to disguise the putrefaction and so that it keeps a bit longer. The association in my mind of food, the chicken, and the formalin, which as you probably know is used by undertakers to preserve human cadavers, revolted me so much that I turned away and actually vomited. A man behind one of the stalls saw this and most kindly offered me a glass of water so I could wash my mouth out. When I got back to the temple I was still feeling a bit nauseous but not so much that I could not eat and when the lunch bell rung I made my way to the dining hall. As I sat at the table with all the dishes of food on it I immediately noticed that the main dish was, you guessed it, chicken. As soon as I saw it my stomach began to churn again and I had to rush from the hall. I didn’t vomit this time but my apatite had quite gone. Over the next few weeks my taste for meat, any meat, just went. It slowly returned but if the memory of the putrid formalin-dosed chickens arouse I had to consciously suppress it or lose my apatite. Three months later on a quick trip to Australia a Sri Lankan friend gave me some things to deliver to his brother back in Sri Lanka. One of these things was a book called Animal Liberation by Paul Singer. I had never heard of this book and its title aroused no interest in me. Back in Sri Lanka I called the brother, he said he would come the next day to collect the things and didn’t show up for another three months. The book and other things sat around my room acting as a sort of silent reminder of how casual Sinhalese are towards keeping appointments, commitments, promises or indeed anything. One hot afternoon as I lay on my bed feeling rather bored and with nothing to read I picked Singer’s book up thinking just to browse through it. As it happened happens, the parts I read interested me so much that I returned to the beginning and read the whole thing in three sittings. I had been expecting it to take the usual vegetarian’s approach – you know, calling meat ‘carrion’ or ‘rotten flesh,’ quoting the opinions of famous odd-ball vegetarians, giving long descriptions of how meat ferments in the bowels and claiming that vegetarianism’ poo smells better than that of meat eaters’. Instead, Singer argues for the kind treatment of animals (including by not eating them) objectively, logically and convincingly. Peter Singer is a professional philosopher and he writes like one. And incidentally, he has nothing to do with the extremist animal rights group Animal Liberation. As I followed his arguments I found myself forced by the logic of them to agree with them. Over the next week or two I returned to parts of the book and reread them and finally decided that anyone who wants metta to be an important part of their character would have to seriously consider being vegetarian. As a Buddhist I do wish to have metta dominate in my life and so I made the decision to abstain from eating meat. Since that time I have cut my meat consumption by at least 95%, the force of long established habit, circumstance or just the desire for a juicy steak accounting for the other 5%. So my decision to become vegetarian was brought about by three things – a gradual awareness of the need for active (as opposed to passive) metta in the Buddhist life, by an incident of visceral revulsion with meat and then by the reasoning of a philosopher helping me see implications in the Buddha’s words that I had not seen before. I could not honestly say that I am grateful for that Cambodian man with his putrefying chickens but I am most grateful to Peter Singer. The fact that he is an Australian had nothing to do with it. I conclude this exploration into the issue of meat eating, vegetarianism and Dhamma with a final question. If vegetarianism is more consistent with the Dhamma why didn’t the Buddha endorse it? I have been reducing eating red meat. What is your opinion of fish? "...partaking meat will not make a person impure. Rather, it is the mindset, the attitudes and mental makeup and eventual behavior of a person that eventually determine the moral and ethical status of the person." Probably, during buddha's time, food are hard to come by. And animals are not rear in mass for food like modern times.And they only slaughter during festivals or special days. So their diets are already mainly vegetarian? Speaking from personal experience, the more you try to restrict yourself from doing something, the stronger the obssession will linger in the mind. And this is a very painful mental state. So perhaps buddha wants us to reduce killings thru practising the 1st precepts, then finally realise the cruelty and stop consuming meat totally on our own? Perhaps there is no blatant suggestion for vegetarianism from the Buddha, because he wanted meat to be gradually phased out. It is consistent with his teachings as you have noted, but still there is no admonition for vegetarianism. The work of Tibetan monk/scholar Shabkar, suggested that the Buddha was phasing out the consumption of meat. This is also consistent with Ashoka's major edict where he called for the gradual elimination of killing animals for slaughter. This is also consistent with the Buddha's extra rules for the bhikkhunis (nuns), that being most likely a temporary arrangement to please the male dominated society. 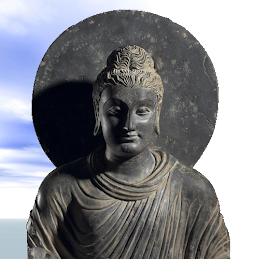 The Buddha instituted rules as they became necessary and not all at once, showing that he was aware of societal conditions. 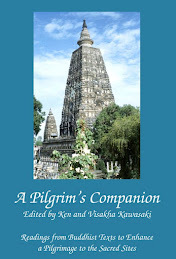 Perhaps the bhikkhunis were to gradually attain equal status as society's norms evolved. Also, when the Buddha first taught not everyone was Buddhist, so they could not be expected to be vegetarian yet or understand all the details of Buddha-Dhamma and the advantages of a meatless diet for the First Precept. Great story on how you became vegetarian. Eating meat by itself does not make a person impure, but if the continual consumption of it is driven by greed for meat that never diminishes, obviously, one cannot become pure - because purity is free of any form of greed. From observation, the most common excuse for not being vegetarian or vegan is greed for meat. 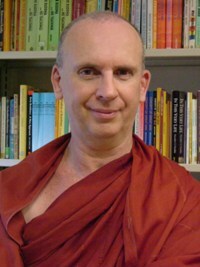 Bhante, thanks for the three essays on meat eating. Logical and coherent. Your last question "why didn't the Buddha endorse it?" has plagued me for quite awhile. I understand alms and accepting what is given, but as you had noted, why didn't the Buddha say he preferred not to eat meat? Wouldn't that have been the kinder thing to do for both animals and the people who offer alms? Isn't that practicing metta? There are other questions that I have about some of the teachings, but vegetarianism is on the top of the list. What is my opinion about fish? Fish farm fish is probably no better or worse than farmed beef, lamb or chicken. Deep sea fish is equally unacceptable but many times more destructive to the environment. Apparently, fishing techniques are such that of every ton of fish caught and used, four tons are thrown back – dead. For how long can this shameful wastage go on? I try not to be a part of any of it. Thanks for an interesting and very useful series of articles on this subject. For myself at the age of 11 I somehow worked out that the "lamb" gamboling around happily in the fields in the little village where I lived, and the "lamb" that turned up for Sunday lunch was one and the same and I became vegetarian in my heart from that moment on. Owing to the constraints however of being a child growing up in England in those days I wasn't able to fully implement my decision until I was 17 years old. I have been vegetarian ever since (now 10% of the population of England is also vegetarian). It was probably the first, and I still regard it as certainly the best, moral decision I made in my life. Although my commitment was basically made on the grounds of not wanting to be cruel to animals I cannot agree with you that some of the other arguments are "weak". We are facing an ever-increasing food crisis at present, and it is surely relevant that the raising of animals for slaughter is scandalously wasteful. I forget the exact statistics, but it is clear that eating grain directly rather than feeding it to livestock would be much more economic. On the subject on cruelty Paul McCartney once said something very significant: "If the walls of the slautherhouses were made of glass everybody would be a vegetarian". It is thanks to efforts like this that the walls are becoming more and more transparent, and we are all deeply grateful for you tackling the subject. When you ask: If vegetarianism is more consistent with the Dhamma why didn’t the Buddha endorse it? Don't you need to consider Devadatta's attempt to split the Sangha and "become the Buddha" himself? Why did Devadatta try to force the Buddha to impose vegetarianism, among other things, on the Sangha? Why did the Buddha stipulate that those rules could be undertaken voluntarily? As mentioned in Vegetarianism I, I have not used to information in the Vinaya (where the story about Devadatta’s demands is from) because much of it is of uncertain but late date. That there was a person named Devadatta and that he caused some sort of trouble, I have no doubt. But the story about his trouble-making seems a somewhat ‘developed’ and demonization of him. Interestingly, if you look at Devadatta’s ‘demands’ they all look like the desire to return to a more simple, ascetic and austere lifestyle. Could the story date from a later time when the Sangha had become flabby and domesticated and some monks wanted to return to the values of the ‘good old days’ and were condemned by the majority for wanting to? If I am right, it may be that vegetarianism was a part of the early tradition. An interesting possibility. The concept :Partaking meat doesn't make one unpure has being mentioned in the previous few blogs. So i felt it is pointless to keep repeating it. We are just keep going around in circles. Like what bhante has mentioned,by being a consumer, we play a indirect role in getting a innocent life slaughter. So the question is not whether it will make one impure by consuming meat. Do we agree that we are partly responsible for the death of a innocent life? WHY do we allow ourselves to be a link in killing a innocent life? PS: IMHO, Life is precious by itself regardless of it's form. So whether it is eating fish, eating ants. Just keep in mind, a life has being sacrifice (partly)because of us. If we can choose to show pity towards pigs and cows and not toward fish or ants, is this really compassion?? Why the discrimination? The Buddha praised Kassapa doing some ascetic practices, some of them from the list of Devadatta (Samyutta Nikaya 16.5) which shows that the Buddha was not opposed to everything in the list. Kassapa was a forest dweller, wore old rags, and did not take invitations to lay householder homes, three items in Devadatta's list (5 total). "I do not say householder, that all asceticism should be practiced; nor do I say of all asceticism that it should not be practiced" (Anguttara Nikaya 10.94). A parallel thread: in Buddhist terms, is bacteria considered "alive"? In biology, there are very much a living organism. What would the implications for a Buddhist be then? Typo correction: "They are very much a living organism." Dear Solitaire, Buddhism is concerned with ‘sentient’ life, not plants, which bacteria are. Further, as bacteria can not normally be seen it is difficult to know how one could ‘deliberately’ harm or kill them. And further, if we are going to worry about bacteria we might as well all pack it in, keep perfectly still and do absolute nothing until we just die. Just try to be kindly and respectful to beings you can see and which do feel pleasure and pain and you will be going okay. Bhante, with all due respect and without being pedantic on my part, bacteria is not a plant but a living organism. It is true that we can't see bacteria, but we certainly know that they exist in our bodies ('good' bacteria living in our intestines) and also the main cause of all kinds of diseases such as tuberculosis, salmonella, cholera, etc. When we take anti-biotics, we kill millions of both the 'good' and the 'bad' bacteria. Bacteria is a living micro-organism capable of reacting to stimuli, growth and reproduction - just like animals and plants, and human beings. How do we define 'sentient being'? Possession of consciousness? Do animals have consciousness? Do bacteria have consciousness? Research has shown that bacteria behave in an intelligent manner, also known as microbial intelligence. Does intellligence require consciousness? I don't know. Right now, we don't have the full knowledge... we are only guided by expediency..
From a Buddhist perspective, it is only the Animal Kingdom which has a fully developed consciousness and is thus, sentient. Organisms in the other Kingdoms do not have a developed central nervous system, a brain, or a developed consciousness. I know there is some research that is working to find how much sentience or "consciousness" exists in the other kingdoms of life, but the research is as of yet, very inconclusive. Thank you Bhante for sharing your experiences and views here so openly. I have been enjoying your blog very much since discovering it a few weeks ago. Like many of us here I regard the choice of vegetarianism as perhaps the most simple and practical expression of moral practice we can make as lay people. I adopted the practice very happily after doing a meditation course some 20 years ago. To live, consciously avoiding the taking of life, and doing nothing to encourage others to take life, is a wonderful thing. At the end of the day, arguments against vegetarianism tend to be based on an inability to recognize that animals dread suffering and death as much as we do, or out of a total disregard for the feelings of animals. One example of this insensitivity and impracticality is the people that protest that vegetarians are killers too because they eat vegetables. My feeling is that vegetarianism has to be seen in the light of the first precept. Not only do you not break the precept yourself, but you also do all that you reasonably can to not assist or encourage others to break it. Vegetarianism can thus be regarded as an advanced way of practicing the first precept. Buddha's attitude to vegetarianism seems eminently practical if one considers that at the time of Buddha vegetarianism was far less widespread and accepted than it was today. I am no expert on Indian history but I understand that it was, in large part, the influence of Buddha's teachings through the centuries that accounts for the widespread diffusion of vegetarianism that we see in India today. That is, vegetarianism took root gradually from the understanding that any killing of animals is harmful to oneself, i.e. through the teaching of the first precept. Another key point to recognize is that the five precepts are not primarily about laying down an absolute moral code or promoting compassion, but rather to provide the human mind with a sufficiently solid foundation to achieve concentration, insight, and liberation. 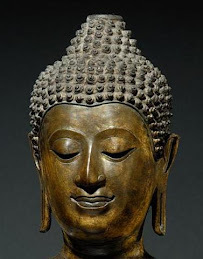 In his teachings Buddha was not speaking to the masses, as a social reformer, but rather to people as individuals, urging them to practice Dhamma, starting with the five precepts and leading progressively to greater purification of the mind. In other words, if Buddha did not deal much or directly with compassion and social justice it was because he knew these to be possible only by means of purifying and liberating the mind. Hence the focus on the first precept and not on general prohibitions and social reform proposals. This point is at the heart of the widespread misunderstanding between so-called Theravada and Mahayana Buddhism. Buddha may also have reasoned that forbidding meat would have been unnecessarily restrictive and counterproductive. 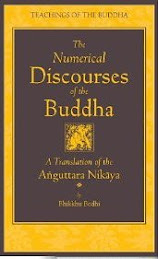 (Doesn't the Vinaya show that monks followed only few rules to begin, with precepts introduced by Buddha only as and when the need arose.) For example, since most households cooked meat, forbidding monks to eat meat would have prevented many householders from making merit and hearing the Dhamma, perhaps also alienating them unnecessarily from the Dhamma. The very best to all! PS The question of Devadatta is an interesting one. I have heard that the association of vegetarianism with Devadatta accounts to some degree for the fact that vegetarianism is regarded rather negatively in Thailand. Thank you for your thoughtful and reasoned comments. You make a few points which go some way to answering my final question. Please do share your views with us again. Thank you, David. It is true that at present, we do not know enough to make any definite conclusion. If we define 'sentient beings' as "fully developed" consciousness (and certainly, human beings are in this category), we would not include animals and insects as their consciousness is not "fully developed" as that of human beings? Since we refrain from killng animals and insects even though their consciousness is not fully developed, what of bacteria? As we know, prior to our existence billions of years ago, bacteria were the first forms of life. They were instrumental in creating the conditions on earth that made other forms of life possible. While bateria do not have physical 'brains' or 'nervous system' like that of human beings, they are certainly highly intelligent and capable of complex behaviours. They are not only reactive to stimuli, but can learn, respond and adapt. They are also capable of co-operative behaviour just like some animals (and human beings when they are amiable and have common interests). Do not go by reports (repeated hearing), by legends, by traditions, by rumours, by scriptures, by surmise, conjecture and axioms, by inference and analogies, by agreement through pondering views, by specious reasoning or bias toward a notion because it has been pondered over, by another's seeming ability, or by the thought, 'This monk (contemplative) is our teacher."